Many of the graduates of Grace Emmanuel School have dreams to further their education in college, but few have the resources to do so. To continue investing in the futures of GES graduates, JiHM plans to award renewable scholarships to two graduates every year who best exemplify excellence in education and a desire to serve God, their community and country. Four scholarships are 100% funded for the 2018-2019 school year—additional gifts will help send six graduates to college next year. Less than 1% of the population of Haiti holds a college degree. 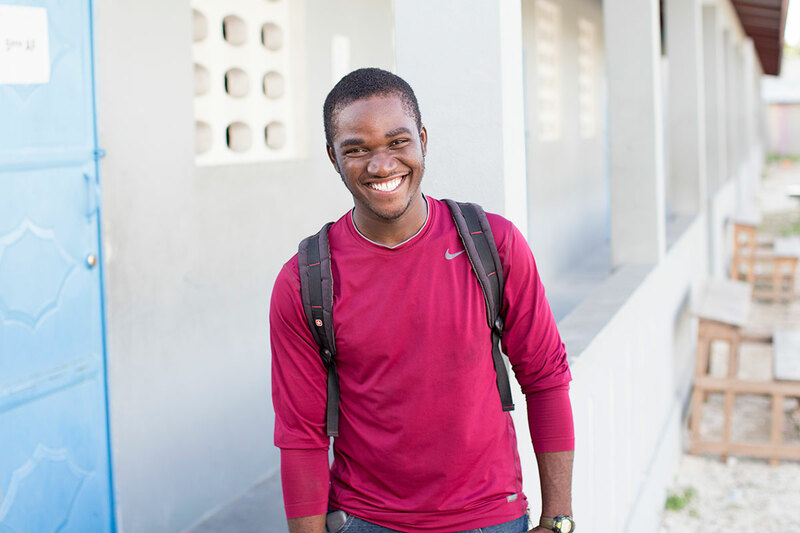 The majority of Haitian students who attend college outside of Haiti rarely return to practice their skills in Haiti. More Haitian college graduates have left Haiti, per capita, than any other country in the world. 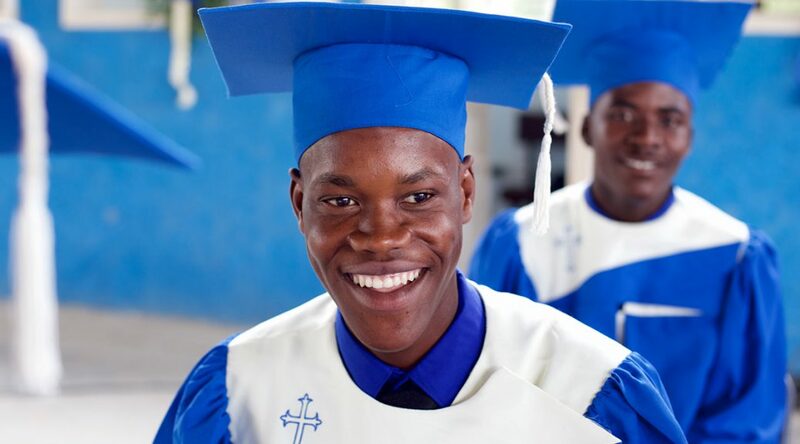 Jesus in Haiti Ministries began awarding scholarships with the first graduating class in 2017. Read more about the recipients below. Scholars receive tuition to the accredited program of their choice, plus assistance with supplies and living expenses on a case by case basis. The estimated cost per year for one graduate is $3,000. For more information about the scholarship fund, please email info@jesusinhaiti.org, or call 260-302-5446. Davidson became interested in agronomy while growing up in the Artibonite valley, an agricultural area located several hours away from Grace Emmanuel School. “I want to change the environment we live in in my country,” said Davidson. 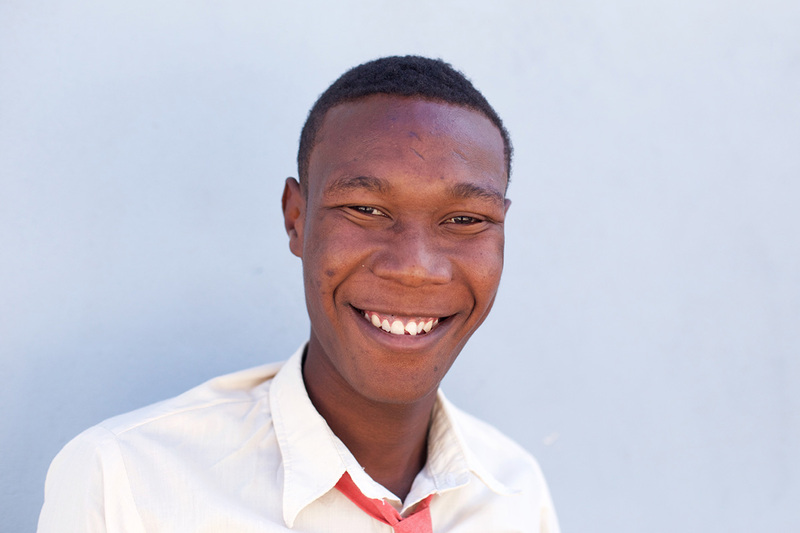 He is anxious to learn how he can work to improve the soil and growing conditions of Haiti. Davidson currently lives in Source Matelas with two of his younger brothers who attend Grace Emmanuel School. Davidson is the first person in his family to go to university. Steevenson was a standout at Grace Emmanuel School for his intellectual abilities and his gentle spirit. His story includes living at an orphanage for nearly a decade. When he was 16, he asked the director to locate his mom so he could return home before it was too late to have a connection with her. He still lives near his mom today, not far from the university he attends. After considering several fields, Stevenson chose to study administration. 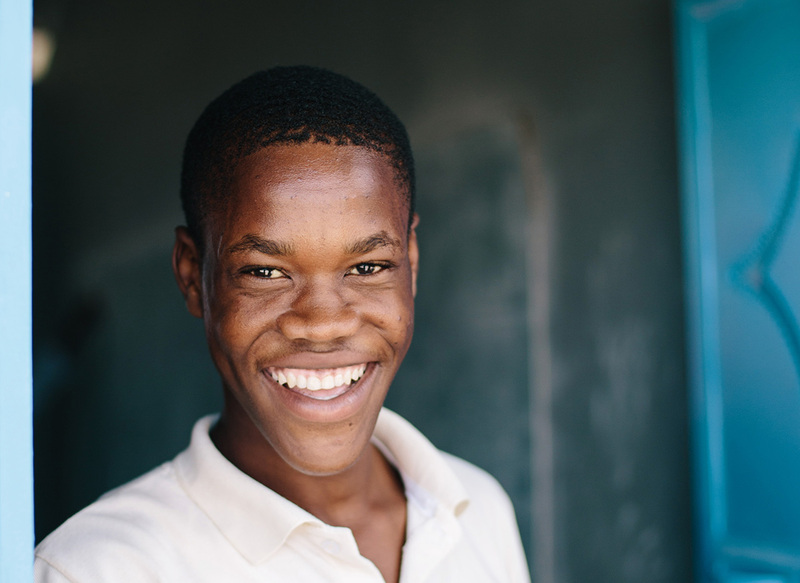 He would like to be a director at an organization or school someday, even mentioning a desire to return to work for Jesus in Haiti Ministries to repay all the help that has been given him. Steevenson is the first member of his family to go to college. He says his mom, who never had the opportunity to go to school, is especially proud of him. “My life is a long story. I was born into a family of 6 children on La Gonâve [La Gonâve is an island off of the coast of Port-au-Prince, only accessible by boat]. Both my mother and father were farmers. At the age of 7, I started school. After my father’s death, it was not easy to continue school. Misery and disappointment were my only friends. At the age of 14, I had to become a juice seller to save money to continue my studies and pay school fees… It was not easy. But thanks to God I finished high school. “Any good student must also be wise, and this wisdom allowed me to pass the government exams in the first round after graduation. Wisdom, skills, consistency, and discipline make me a good candidate to receive this scholarship. “If I am chosen as one of the scholars, after graduation, I intend to return to Grace Emmanuel School to compensate the institution for the help I received. I am aware of the effort made by sponsors to help me. For that reason, I will first bring my contribution to the school, to JiHM as a volunteer. Chruvenson Sterling’s easy going personality, gentle spirit, and academic abilities earned him the respect of his classmates over the years, who chose him to be their class president for the 2017-2018 school year. 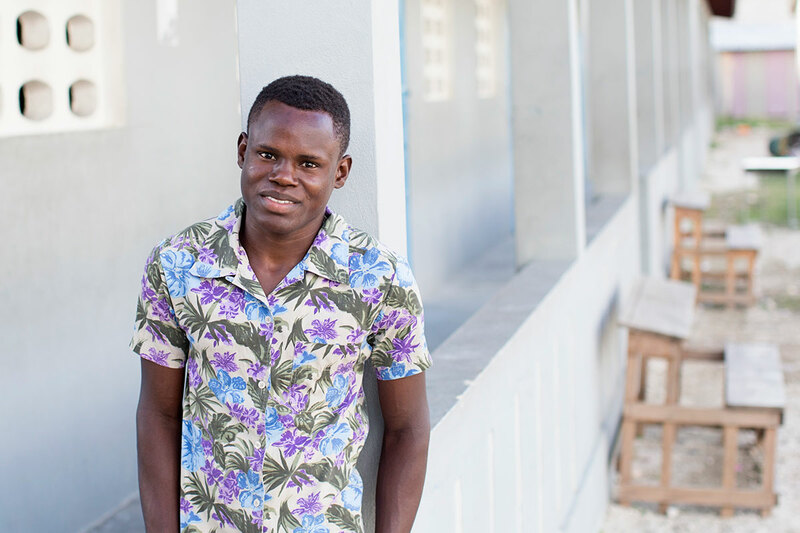 Living up to expectations, Chruvenson went on to finish first in his class that year and then scored the highest of any GES graduate on the government exam given throughout the country of Haiti. Chruvenson lives in Lafiteau with his parents and younger siblings. He is one of 11 children, landing “somewhere in the middle.” His mom provides for the family by selling used clothing. Chruvenson’s father has not been able to work since 2013, when he was injured in an accident that left both of his legs damaged beyond repair. That same year, Chruvenson’s friend told him about Grace Emmanuel School, and he was able to find a spot in the 9th grade class and continue his education. Chruvenson is the first person in his family to attend university. He will study business administration, with hopes to become a great business leader and create economic opportunities for Haiti. He also would like to be a diplomat and get married, eventually.